Did you know that Portland is home to the Rock-n-Roll Camp for Girls? Yep, it’s true and some of those campers will go on to careers in music just like the women featured in this week’s YouTube Tuesday. 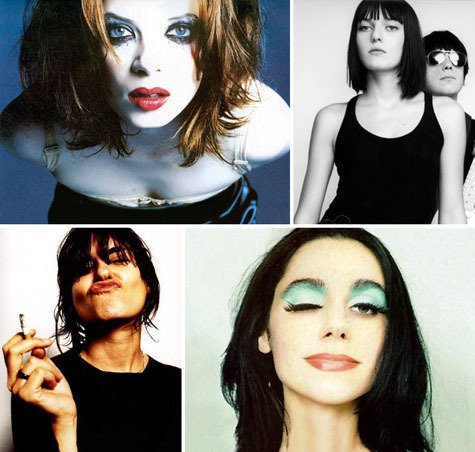 Check out some music videos featuring Garbage, Elastica, PJ Harvey and Pravda after the turn. I once had a ‘moment’ with PJ Harvey in a health food shop in Dorset. She haunts me.